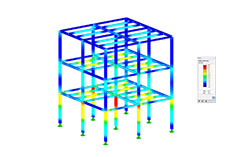 In the structural analysis programs RFEM and RSTAB, it is possible to consider member nonlinearities (for example failure at compression/tension, slippage, tearing, creeping) as well as support and release nonlinearities such as failure, creeping, friction support, and so on. 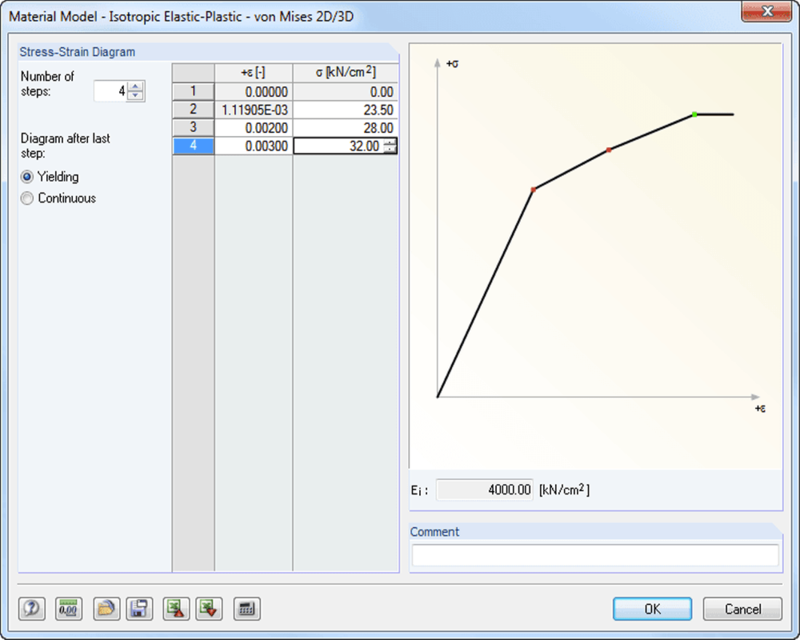 In addition to linear static analysis and second-order analysis, there is also large deformation analysis available (for design of cables, for example). 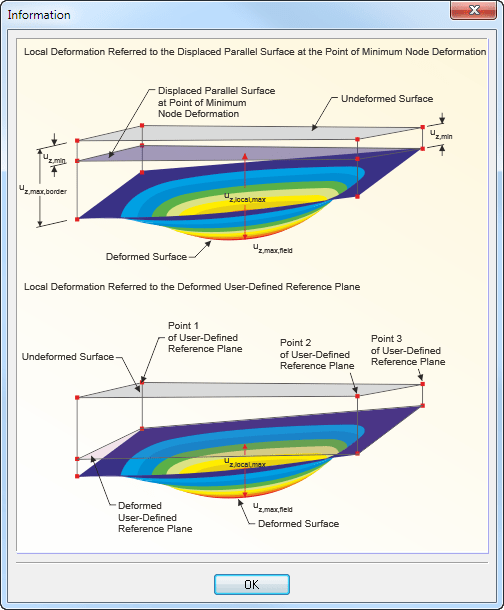 Moreover, RFEM supports the consideration of material nonlinearities such as plastification, concrete in cracked state, and many others. 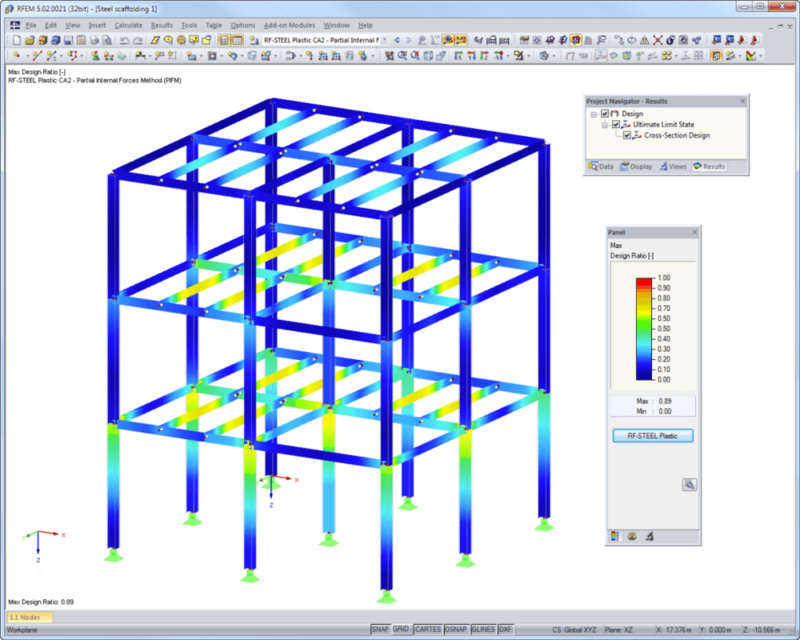 Structural frame analysis and design software RSTAB contains a similar range of functions as RFEM, with special attention to frame and beam structures. 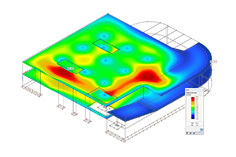 Therefore, it is very easy to use and for many years it has been the best choice for structural analyses. 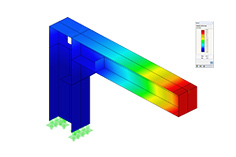 RF-/STEEL Plasticity is an extension of the RF‑/STEEL EC3 add‑on module. It allows for plastic design of cross‑sections according to Partial Internal Forces Method or Simplex Method. 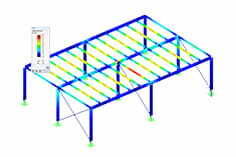 RF-CONCRETE NL performs physical and geometrical nonlinear calculation of beam and plate structures consisting of reinforced concrete. 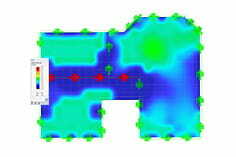 RF-CONCRETE Deflect allows for analytical deformation analysis of plate structures consisting of reinforced concrete. Since August 2014, there is a new extraordinary outdoor theatre in Bytom, Poland. From the structural engineering point of view, the timber structure consists of two parts (the theatre stage and backstage) geometrically interconnected together by a spatial-shaped roof, providing remarkable design of the building. A new architectural highlight in the capital of the United Arab Emirates is the dome of the Louvre Abu Dhabi. The steel structure has a diameter of 180 m and covers the new local branch of the Louvre Museum in Paris. For renovations of the steeple in the St. Martinus parish in Kerpen, a scaffold was required. The designers had to meet a special challenge as the frame construction had to be set up at the spire top without applying anchorages by pressure usually used in scaffolding. A glass pedestrian bridge with a length of 30 m connects the St. Michael hospital with the research center Li Ka Shing Knowledge Institute. The supporting structure consists of several oval steel rings which are twisted together. The Kuchlbauer tower is an architectural project built on the premises of the German brewery Kuchlbauer in Abensberg. The tower was designed by F. Hundertwasser, who died in 2000 when the project was still in its planning stages. A very special project was carried out in Pitigala, Sri Lanka in 2013. A suspension bridge was designed, calculated and built by 30 students of the university team "Engineers Without Borders". The 30-meter-long bridge across the Bentara river with was constructed with pure man power. A unique roof structure was built for the main bus station in Aarau, Switzerland in 2013. The canopy has a cloud-like shape and contains the largest single‑chamber cushion in the world. The ETFE cushion has a volume of 1810 m³ and covers an area of 1070 m². The truss structure of the bridge is used for tripper cars moving on it to transport the material. The structure includes special cross-sections created in SHAPE‑THIN. When designing column bases, high performance anchors are often used for an anchorage. This article describes different models and their evaluation. 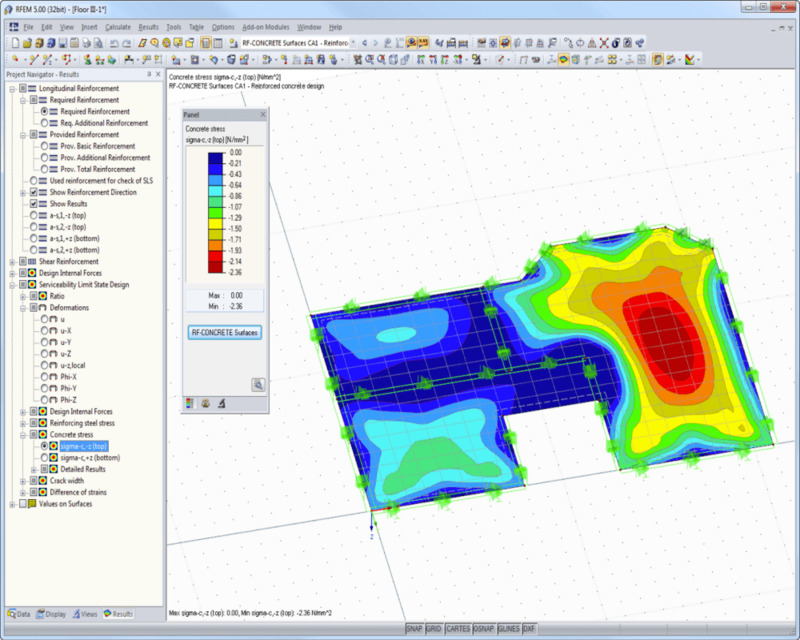 The following example presents a comparison between a shell model and a simple member model performed in RFEM. In the case of the shell model, a beam is suspended within surfaces and modelled with restraints on both sides due to the boundary conditions. This is a statically indeterminate system that will form plastic hinges when overloaded. 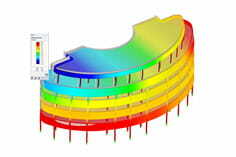 The comparison is carried out on a member model, which has the same boundary conditions as the shell model.